As the Representative of AH Korea, I am very happy to inform AH members and Readers in Korea and abroad about the upcoming Spiritual Revolution Seminar by Rosie Jackson and also Visit to Korea by Candace, CEO of AbundantHope at tne end of July this year. The Planet Earth and humanity have been reconnected with universal circuits and are already under the over-sight system of celestial hierarchies. At the time Earth and her people are about to entering into their 5th dimensional shift of consciousness and ensuing Transition Period, the visit of CEO of AbudanceHope, the World Organization of the Second Coming of Christ Michael Aton and Esu Immanuel Sananda Kumara and world lecturer Rosie jackson to Korea will surely be the best and most valuable opportunity for many Korean students on the path who have been pursuing their enlightenment and preparing for the world service to ascertain their direction and to gain inevitable knowledge and skills practical and useful for the Integration and Unity of world people. Thus we have arranged two events. Rosie: How can we live together in peace, joy and unity? As way showers, we will acquire a deeper knowledge of self, address unhealed issues and develop qualities necessary for leadership and for inspiring others on their path. We will take part in exercises to increase self-awareness, clarity, and perception and to encourage healing through sound, art, movement, role-playing, visualisation and channelling the Divine within intuitively. THE SPIRITUAL REVOLUTION PROJECT and UNITY TAROT will be presented and used as a catalyst for personal transformation and intercultural understanding, paving the way to the creation of unity on a global scale. This is an opportunity to meet others who share your deep concern for the planet and to come together to work for change. It is a chance to learn from each other, discover new horizons, improve relationships, develop personal missions, dissolve blockages, release enemy images, explore potential, experiment, increase creativity and our sense of ONENESS. This is designed to be a spiritual learning journey through which you will track yourselves. This means always having a notebook and pen at hand, and noting down for yourselves whatever you feel about strongly, or whatever meaningful experience you have. Except for the evening session on Friday, please wear comfortable clothes so that you can move around easily (It may be necessary to bring a cushion to sit on). Lecture: HOW CAN WE CREATE PARADISE? With videos introducing the role of art, beauty and music as catalysts for spiritual transformation, teaching on how to receive divine guidance (the Story of Seraphin) to strengthen our missions, introducing the SPIRITUAL REVOLUTION PROJECT and THE UNITY TAROT as a way of working on ourselves, improving intercultural understanding and finding common ground, followed by discussion, songs by Rosie, accompanied by a small art exhibition. Morning session: 10 am - 1.30 pm: Finding out more about ourselves through interaction with others. Experimenting with role-playing in combination with music. Active exercises involving movement, and visualisation to discover strengths and potential as well as identify blockages which we bring with us from the past. If we know ourselves well, then we can lead more effectively. We will identify and practise the leadership qualities we need to become able leaders. Interactive activities to promote self-reflection and improve skills, followed by meditation to process all experiences so far. Using the Unity Tarot material (the biographies/transformations and painted portraits of 100 Global Villagers). Exercises to discover what separates us - different cultures, religions, circumstances - and what unites us - the common emotional experience and the spiritual journey. Using art / visuals / stories to open up new perspectives. Exercises which teach us to interact and co-operate so that we can live peacefully in the "global village". Developing visions for ourselves and our world. Emphasis on teamwork, co-creation and sharing. "If the world was a village of 100 people ..."
A global networking opportunity for those who carry the vision of peace on earth in their hearts and who know that they themselves can be a potent catalyst of change. An education programme to increase inner awareness, thus propelling inner transformation which manifests as positive development in tangible reality. Seminars further intercultural understanding through confrontation with and identification with 100 earth inhabitants whose issues are solved - irrespective of national, social or religious differences - by an increase in 100 positive qualities. Their stories are documented in the UNITY TAROT, and visually in the paintings THE WORLD-REALITY and THE WORLD-VISION (by Rosie Jackson). When all personal blockages are removed, when all wounds have been healed, when we have all found a common emotional level which cements our interconnectedness, when we can all comprehend the workings of the Divine in our lives, we will all be able to co-create a peaceful world. Seraphin is a personal guide, assigned to me in 2010. 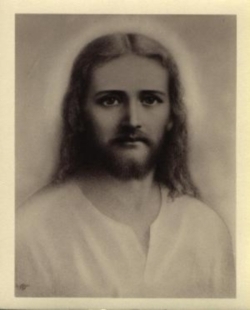 He is also a member of the angelic order of Seraphim and connected to entities under the LEGION OF LIGHT for the manifestation of spiritual truth through art. As such he guides my thoughts as well as my painting and writing hand. When I increasingly addressed him concerning the state of our planet and the very grave necessity for monumental change, requesting answers on paper, the messages started to come through (Now numbering nearly 230 messages which are translated worldwide). They speak for themselves. May all who read here be blessed with the divine wisdom thus clarified and presented. Place: Facility in capital area - For security reason, the place will be noticed to each applicant by email. She achieved Paradise through long spiritual journey as an ascendant originated in Nebadon Local Universe and became a Mighty Messenger and was dispatched to Uversa of Orvonton Superuniverse and has been working with the Ancients of Days. She is an administrative official of higher celestial hierarchy and after having had previous 5 incarnations on Earth, in this 6th incarnation, she created AbudantHope in 2005 in the partnership with CM Aton and Esu and has been serving on massive tasks guiding humanity going through transitional period and helping Earth and her people to be settled in the light and life. What's currently happing on Earth and to Humanity?